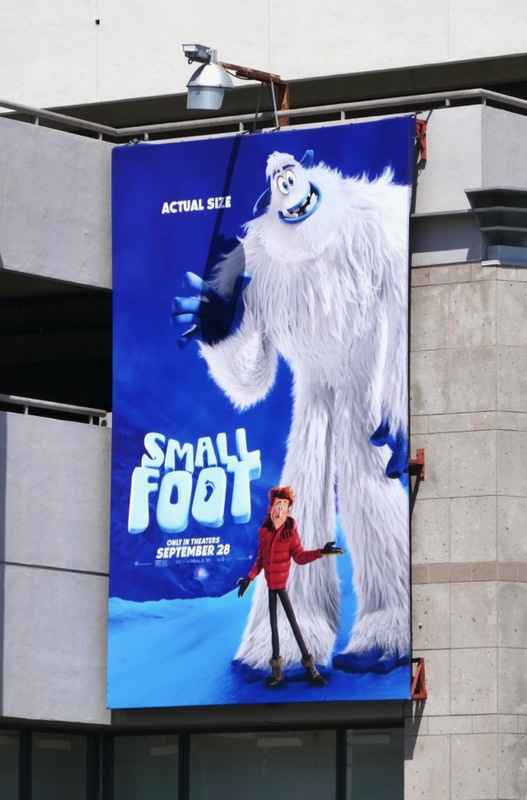 This September the legend of 'Bigfoot' gets flipped on its head as humans are the mythical creatures that Yetis question the existence of. 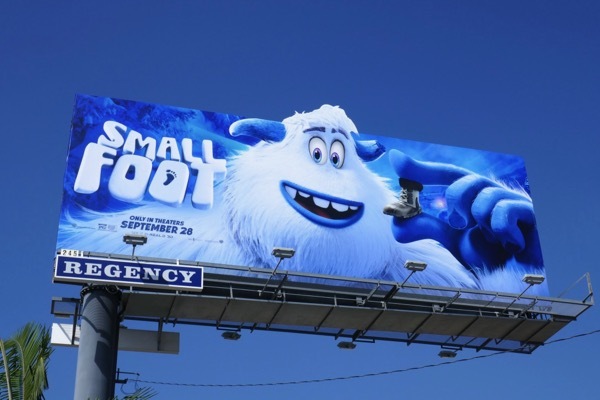 In this fun family-friendly new computer-animated adventure based on the book Yeti Tracks by Sergio Pablos, a young yeti named 'Migo' (voiced by Channing Tatum) is convinced that humans, or a 'Small Foot' is real, and sets out to find one to convince his tribe. 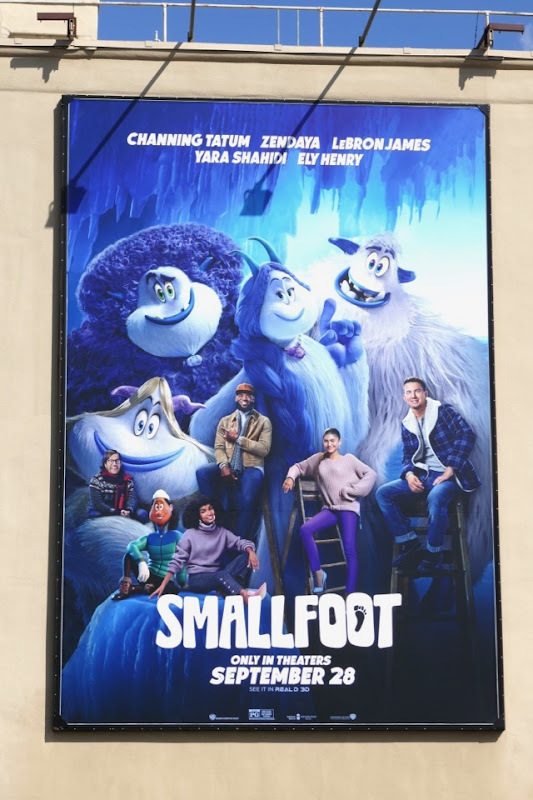 James Corden voices the human in question, 'Percy', whilst the musical comedy film also stars the vocal talents of Zendaya, Gina Rodriguez, LeBron James, Common and Danny DeVito. 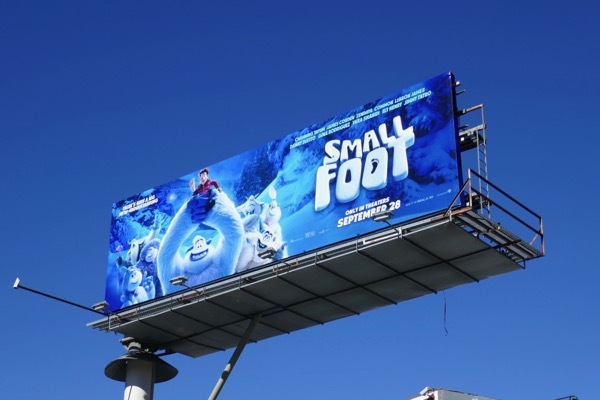 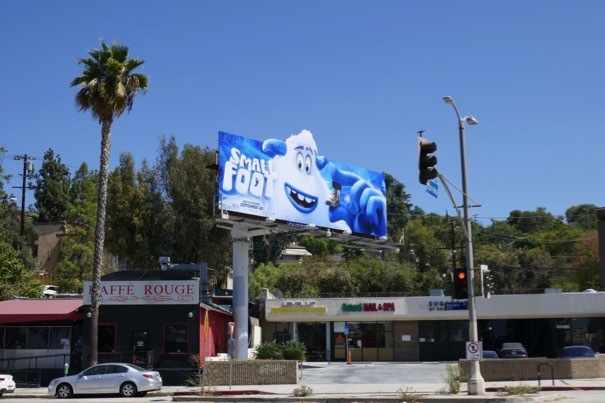 These adorable movie billboards and street posters were first captured along the Sunset Strip on August 22, then sighted along Ventura Boulevard, La Cienega Boulevard, Highland Avenue and Melrose Avenue on from September 6 to September 15, 2018. 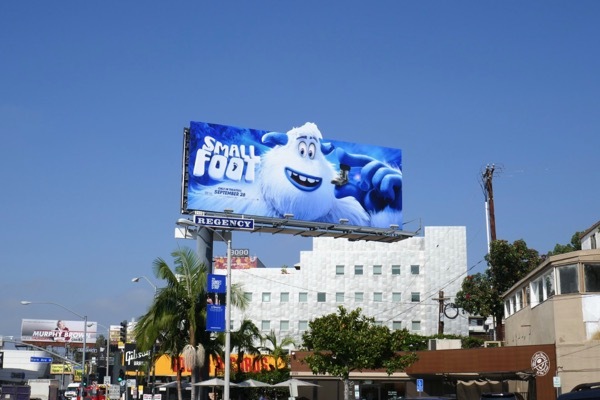 Fans of animation can also check out all these other fun animated movie and TV series billboards filling the city skyline over the past ten years. 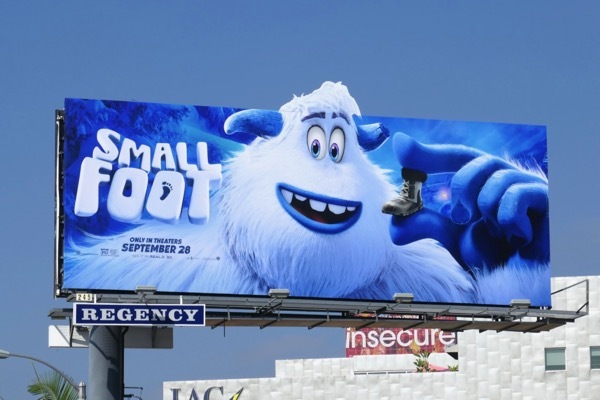 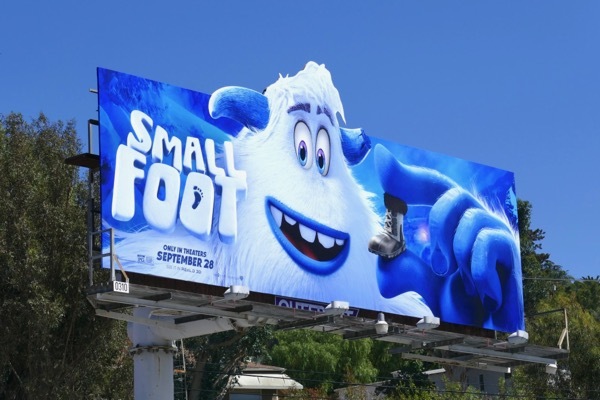 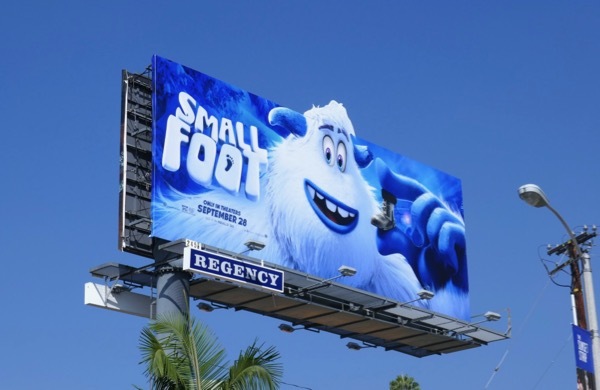 If you're hunting for some monstrous humour and original songs to entertain the family this fall, then Smallfoot may be the beast you're looking for. 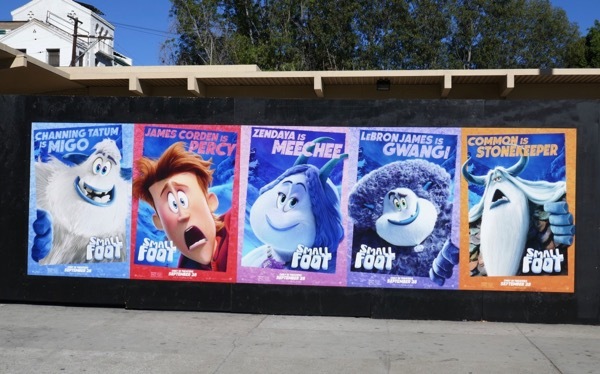 UPDATED: Here are also two billboards for the animated movie featuring the characters with their respective voice talent side-by-side. 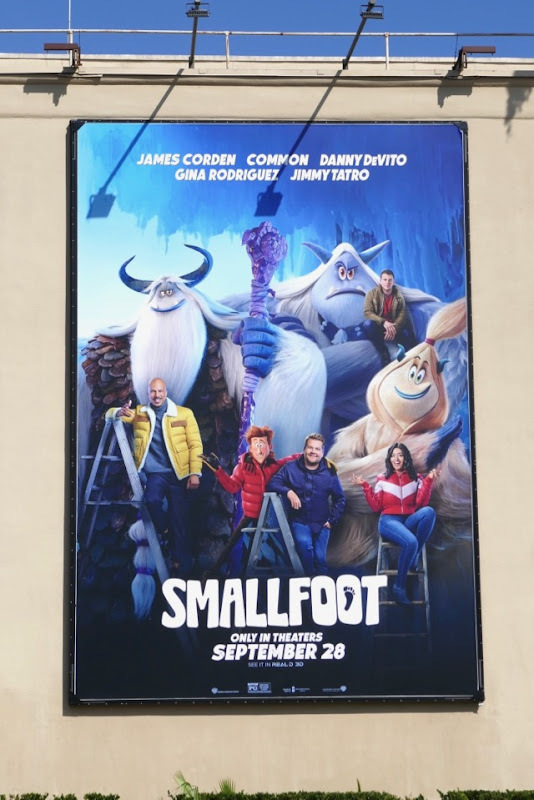 These clever portrait billboards were spied at Warner Bros. Studios along Olive Avenue in Burbank on October 12, 2018.